Treasure Hunter G‘s gameplay is very typical of its time, consisting of two types of gameplay (adventuring and combat). Adventuring is done in a fashion very similar to Squaresoft’s Super Famicom games such as Chrono Trigger and Seiken Densetsu 3 with the group exploring various locations typical to the genre such as towns, forests, dungeons, castles and a few more fantastical locations. They make new allies and enemies and embark on a quest to stop the Dark Lord’s plan of reviving Bone Dino and destroying the world. Combat takes place on a grid, with movement and fighting consuming varying amounts of Action Points. Other actions include using items, spells, special attacks and traps. Action Points increase during the game allowing for greater freedom in strategy. The character sprites are pre-rendered from 3D models, rather than drawn by hand. This allowed for a feature unique among similar games for SNES: the character sprites are created for eight directions instead of the usual four. There is a villain called the Dark King. He was sealed away until an unsuspecting treasure hunter releases him by attempting to get “treasure”. Now Red, Blue, Rain, and Ponga have to stop him. 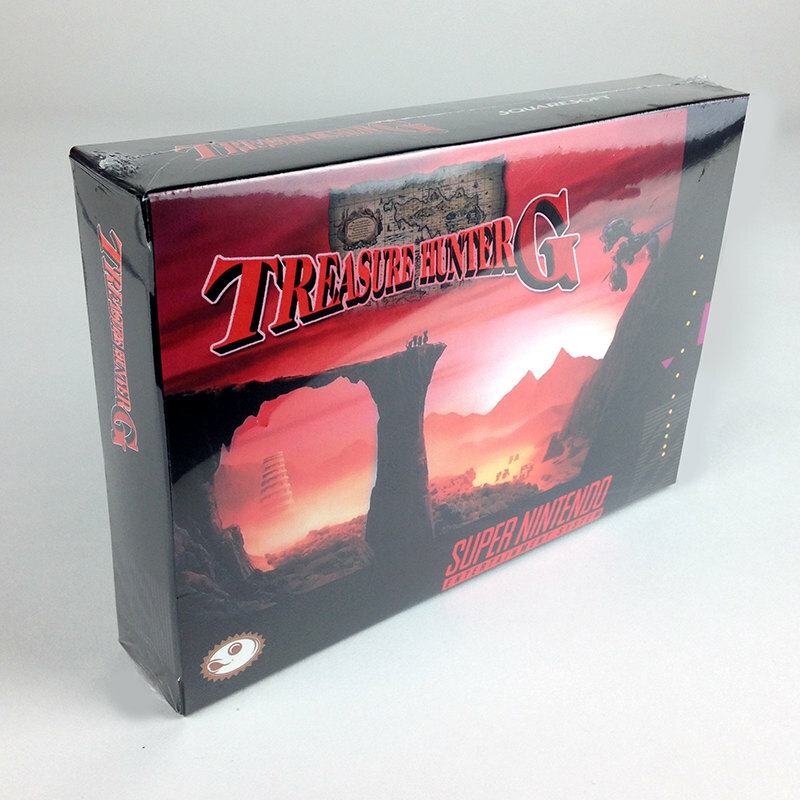 The score for Treasure Hunter G was created by the seven composers that make up the Sting Symphony: Hitoshi Sakimoto, Mitsuhito Tanaka aka John Pee, Masaharu Iwata, Toshiaki Sakoda, Yoko Takada, Tomoko Matsui, and Akiko Goto. The 86-song soundtrack was published by NTT Publishing on June 9, 1996.